HexFest 2019: A Weekend of Witchery in Old New Orleans! Tales of the magic of the Crescent City of New Orleans stretch back over centuries. It is an enigmatic place where Voodoo, Hoodoo, Witchcraft, and even Christianity blend at a crossroads of spiritual power. On August 9 to 11, 2019, Brian Cain, Christian Day, and the Witches of New Orleans present HexFest: A Weekend of Witchery held in the heart of the historic French Quarter. The conference opens with a Riverboat Ritual and dinner, held on an authentic steamboat on the Mississippi River, followed by two full days of workshops, drumming, and ritual at The Bourbon Orleans Hotel, a venue riddled with a history of hauntings. HexFest has gathered Witches, rootworkers, Voodoo priests and other magical teachers from within New Orleans and around the world to offer their time-honored wisdom. Between workshops, attendees will love the magical shopping in our on-site vending hall where you can purchase powerful ritual tools, signed books, exquisite jewelry, and spellcrafts handmade by true practitioners! 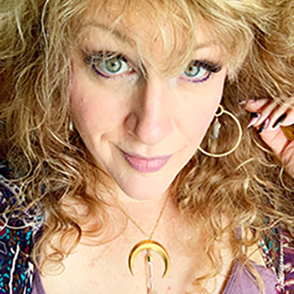 Presenters for 2019 hail from across the spectrum of Witchcraft and magic and include Brian Cain, Christian Day, Austin Shippey, Byron Ballard, Cairelle Crow, Christine Stephens, Dorothy Morrison, Dragon Ritual Drummers, Fiona Horne, Hoodoo Sen Moise, Lady Rhea, Laura Tempest Zakroff, Michael Correll, Mulysa Mayhem, Patricia Telesco, Rosemary Ellen Guiley, Sallie Ann Glassman, Sandra Mariah Wright, Sen Elias, Sorita d'Este, Starr Casas, Starr RavenHawk, Witchdoctor Utu, and Yeshe Matthews. Whether you’re a beginner or an advanced practitioner, HexFest will help you to discover of the secrets of Witchcraft and expand your mastery of the magical arts!